My Daddy taught me not to waste. He would yell at us to close the door, turn out the lights, clean my plate. He so impressed that quality upon me that I echoed his words to my children. Something about waste bothers us. We would never volunteer to pay $100 for a McDonald’s Happy Meal. No, that would be a waste! To understand the radical work of the Gospel, we must understand that the Gospel runs counter to everything that man is taught. The Gospel is opposed to every rational thing that we teach our children. The core concept that is most repulsive to us is seen in John 12. But before we dwell upon the Gospel and “waste”, I want us to see what other things can block the power of the Gospel from our lives. This will lead us into a deeper understanding of the power of the Gospel for our everyday lives. This will open the Gospel to us and it will drive our discipleship. The Gospel is “Death with a view to increase”. 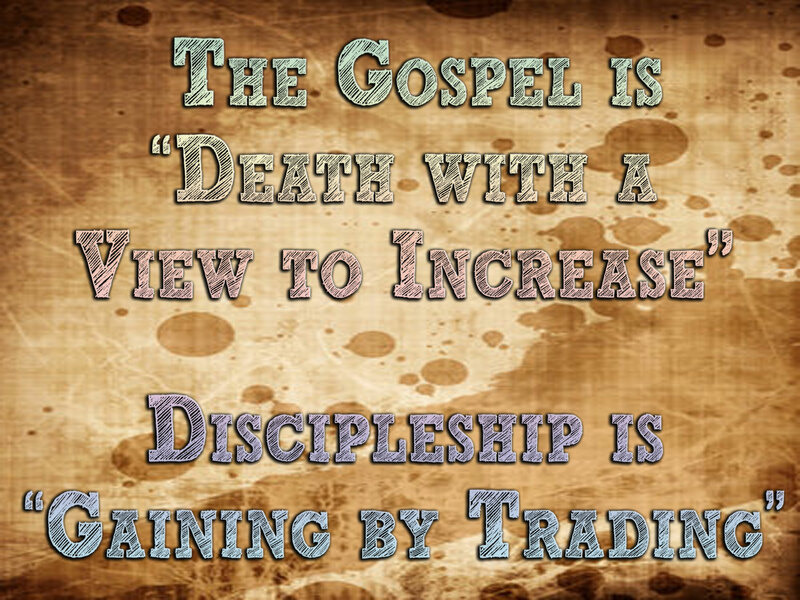 Discipleship is “gaining by trading”. Fruitfulness is the result of living the Gospel. We are not talking of your own fruitfulness, like looking at your garden and admiring your green thumb. We are speaking of fruit that comes from gaining the life of Jesus Christ. Fruit comes from Him and our willingness to give everything to Him. A grain of wheat has life in it, but it abides alone. It has the power to impart life to others, but to do so it must be buried in death. 2 Corinthians 4:11-12 For we who live are always being given over to death for Jesus’ sake, so that the life of Jesus also may be manifested in our mortal flesh. So death is at work in us, but life in you. Is Life at work in You? Are you experiencing the Life that is in Jesus Christ? Do you ache when you spend a day without a word from Him? Do you miss not spending time in prayer and fellowship with Him? If His life is at work in you, you know it. If it is not, perhaps you have become hardened to the Gospel. Perhaps you will see yourself in John 12, and God will speak to you this morning, calling you to repent, calling you to waste your life for the sake of Jesus Christ. There is light in the words of Christ. There is Life in the Words of Christ. But our hearts are easily hardened to the power of Christ and His Gospel. Our eyes are easily dulled to witness the power of the Gospel. There are three people seen in John 12. There are the Disciples, who supposedly follow Jesus. There are the Greeks who want to see Jesus. 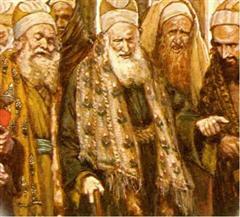 There are the Pharisees who despise Jesus. Finally, there is a solitary woman named Mary, and our attention will be drawn to her in a moment. The Greeks wanted to see Jesus. They made a big deal about seeing him. As if they were important and were worth an audience with Him. The fact that they used intermediaries to see Jesus indicates they were men of station and means. In the oriental world important people would always use intermediary agents. As important men they would never go directly to Jesus. They required an introduction. Man’s Status is not an element of the Gospel. 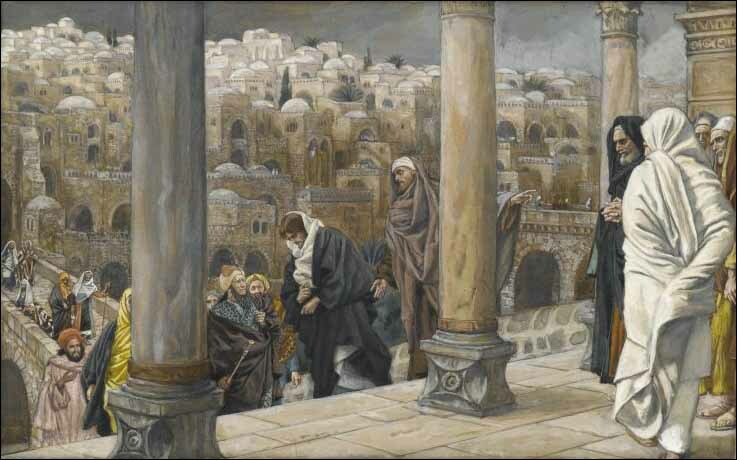 Jesus answered Philip and Andrew’s request by referring to His approaching Glory. His glory is not based upon His status or rank, but simply upon His death. 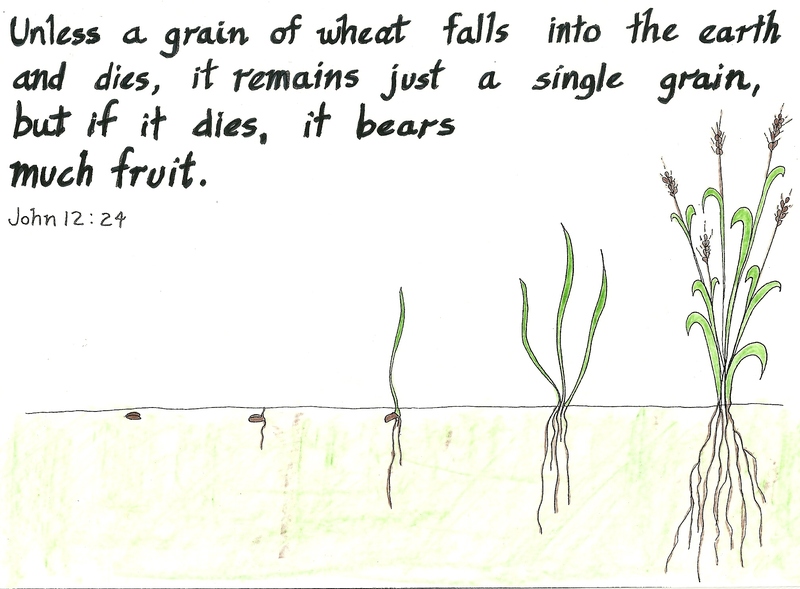 Jesus answered their request with a grain of wheat, and how it must die to bear fruit. If anyone wants to see Jesus, they must hate their life and their status, and follow Him as a slave, a person with no status. God will honor all those who hate this life and follow Jesus as a slave. One more time Jesus speaks of glory. But the people didn’t understand. They said the Law teaches that Christ will abide forever. How could the Son of Man die? Their eyes were blind to Jesus. Their hearts were hardened to Jesus being the Messiah. The Pharisees and the crowd could not see Jesus as Lord because they were too focused on their standing, and what they thought should be the standing of the Messiah. The Pharisees could not see the Glory of God because they loved the glory of man. They put their own concepts of standing and status before God’s. They could not see the glory of God hanging on the cross. It was a foreign concept to them. It kept their eyes blind and their hearts hard. Do you seek man’s glory? Do you like the admiration of men? Does it bother you when men think bad of you, or look down on you? Is standing important to you? Do position, influence and power matter to you? If you answered even a tiny ‘yes’ to any of those things, you might not understand the Gospel. Your eyes might be blind to the power of the Gospel. Your heart might be hardened to the power of the Gospel. But the real test of whether the Gospel is impacting your life is in the third group, the Disciples. Money and things can harden our heart to the message of the Gospel. Mark 14:10-11 Then Judas Iscariot, who was one of the twelve, went to the chief priests in order to betray him to them. And when they heard it, they were glad and promised to give him money. And he sought an opportunity to betray him. Jesus is being honored because He brought Life to a dead man. He raised a dead man to life. Not a sick man, not a comatose man, but a dead rotting in the ground, stinking to high heaven man. Jesus had brought life to a dead man, and all the disciples could worry about was how wasteful this woman was. 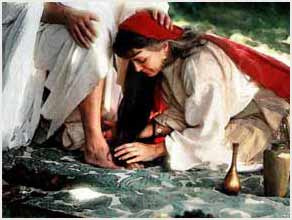 A woman (Mary) took an alabaster flask of spikenard and used it to anoint the head and feet of Jesus. She even used her hair to wipe his feet. The disciples reacted indignantly, especially Judas. They said this is such a waste, it should have been sold for a year’s worth of wages and given to the poor. What she did was so unusual, that most ‘normal, rational Christians’ would find it a waste. They shake their heads and turn the judgmental faucet on. Jesus reacted with some stern comments. His comments will shed some insight into the Gospel that you and I believe in. I want to unwrap His comments so we can learn the power of the Gospel in our everyday lives. Why was the ointment wasted like that? Why this Waste? Waste-apóleia; gen. apōleías, fem. noun from apóllumi , to destroy fully. Used trans. the losing or loss (Matt. 26:8), intrans. perdition, ruin. 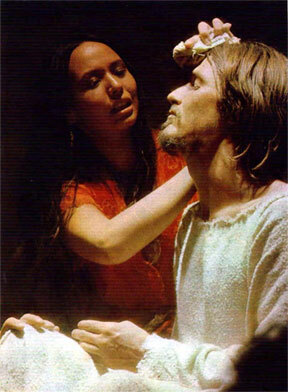 In the NT, apóleia refers to the state after death wherein exclusion from salvation is a realized fact, wherein . Jesus issued a stern rebuke to His disciples. Give it up guys! Stop it! You are so wrong Guys. You just don’t get it! Jesus wanted his men to see something amazing about the Gospel. It is a foundational principle of God’s character revealed in the Gospel. It is a principle which must be applied to our life if we are to experience the power of Jesus Christ. Sometimes we are quick to judge someone, especially because of something they do that seems to be stupid or dumb. God often has a lesson for us to see and understand. God’s ways are not our ways, and we must learn to see God in those moments that seem such a waste. The disciples probably thought they were something else. They had already argued about who was going to sit at the right hand of Christ. So they thought they were entitled to look down their noses at this poor unfortunate woman. Jesus said stop causing her pain. Spiritual pride gets in the way of the work of the Spirit. It can cause pain in the body. The idea of this Greek word for cause is ‘minister’. 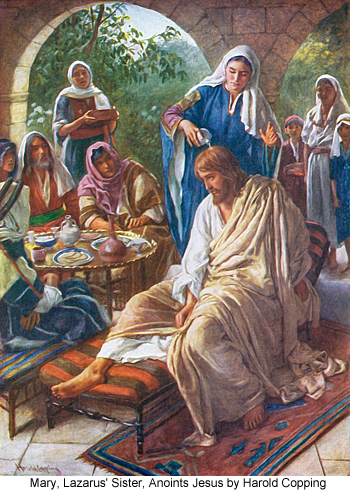 The disciples were ministering pain to the body. The Gospel is about Honoring Jesus Christ through your life. You can touch and encourage people and other disciples. You can strengthen others with your words and your actions. But when you allow things to darken your eyes, you can say and do things that bring pain to the body, to other believers. You cause pain to Jesus Christ. He says, why do you trouble her. We are to be salt to this world and to each other. And if we do it to honor Christ, the world will say that is so wasteful. Here was a woman who wasted her beauty on the beauty of Jesus Christ. Her future as a wife and mother was bound up in that alabaster jar. It was her dowry given for marriage. 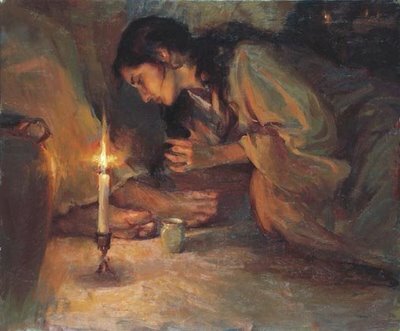 She considered honoring Jesus so important that she poured out her beauty, her future, her everything upon his dirty feet, his dirty hair. 4. She did what she could. 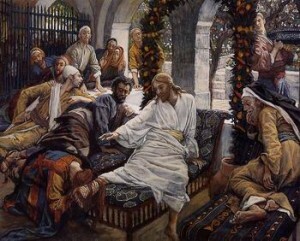 This single woman, who a few days before had been scolding Jesus for not coming sooner to heal sick Lazarus. She even blamed Jesus for his death. Now she was so touched by His compassion and love, that she was willing to give Him her future. Here was her dowry, reserved for the day of her betrothal, and now she was willingly pouring it upon her Savior. She did it willingly, sacrificially, but most importantly, she did it! There was no delay, no hesitation, no doubt. If she had waited but a week, Jesus would have been dead. Parents, Grandparents, are you doing anything wasteful for your family. Are you doing anything wasteful for God? What you can do should always be a waste. We do not limit our discipleship by what is rational or even prudent. We do what we can. We waste our lives, our possessions for the sake of the gospel. 5. 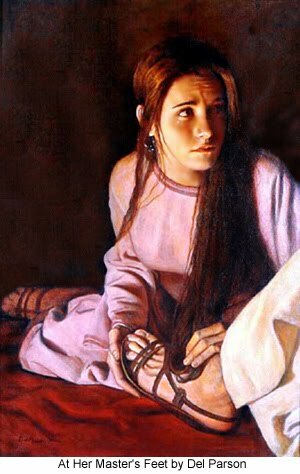 She demonstrated the Gospel. How did a foolish, wasteful act by an obviously desperate single woman display the Gospel? Why was this seemingly foolish act so important that Jesus said it would be told alongside the Gospel for the rest of time? The Gospel will be proclaimed throughout eternity. She died to her future. A sweet fragrance covered the Savior and filled the room. Waste means giving more than necessary. If something costs a dollar and you pay $5, it is a waste. If a pint will be enough to paint, a gallon would be a waste. Waste means you give something too much for something too little. If someone is receiving more than he is worth, that is a waste. But the action of Mary would go wherever the Gospel is preached. Why? Christ wants all those who respond to the Gospel to waste themselves on Him. 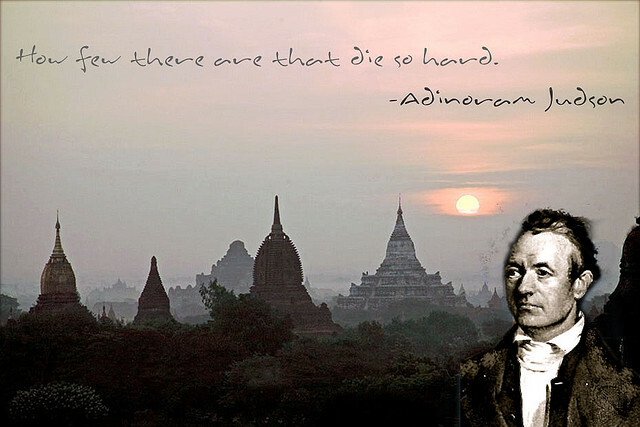 Adoniram Judson labored in Burma in the early 1800’s. He was bright, ambitious, and could have been very successful in his life. Instead, he chose to be a missionary for Jesus Christ. Life in Burma was beyond hard. This was a ‘hard’ mission field. It was six years before his first convert. The hardships he and his family experienced were deadly. Adoniram buried two young wives and six young children, victims of the diseases and rigors of Burma. 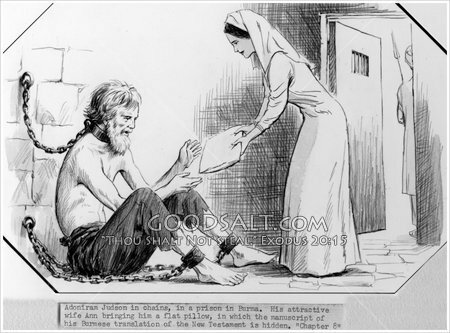 He was imprisoned to the point of starvation and death. He was tortured mercilessly. He labored long hours suffering from fever, headaches, poor eyesight, all due to the conditions he lived in. He had only one furlough in 38 years. After being imprisoned for 17 months, and upon being released experiencing the death of his wife and infant, and hearing of the death of his father, he even suffered a crisis of despair and lost faith. “God is to me the Great Unknown. I believe in him, but I find him not. He even dug a grave in the tiger infested jungle and for 30 days would retreat there and contemplate his wasted life. He despaired to the point of desiring death. As God and some Burmese worked to pull him out of his despair, his faith slowly returned. The next year (1831) saw a miraculous outpouring of God’s Holy Spirit as hundred turned to Christ. It took Judson 12 years to make 18 converts. When Judson began his mission in Burma, he set a goal of translating the Bible and founding a church of 100 members before his death. When he died, he left the Bible, 100 churches, and over 8,000 believers. In the world’s view, giving yourself to Christ and serving as a Pastor or a Missionary is a waste of ability. If someone of great natural ability surrenders that to serve the Lord, his friends will say “such a waste”. Are you experiencing the power of the Gospel? Are you more in love with Jesus today than last year, or even 20 years ago? Would He say you have done a beautiful thing for Him? Would He say you have done what you could? What are you willing to waste for the sake of Jesus Christ? Don’t let your love of money harden you. Don’t let your love of status or reputation blind you. Don’t let men influence you as to what is proper. Do you want to see the glory of Jesus Christ? Do you want to hear Him say, “You did what you could”? Then ask Him what you can waste for Him. Spiros Zodhiates, The Complete Word Study Dictionary – New Testament, (Chattanooga, TN: AMG Publishers, 1993), WORDsearch CROSS e-book, 246. Spiros Zodhiates, The Complete Word Study Dictionary – New Testament, (Chattanooga, TN: AMG Publishers, 1993), WORDsearch CROSS e-book, 814. Anderson, To the Golden Shore, 398-399.